Because I felt like I was hitting my head against a wall trying to come up with ideas for us to do this week, the specific activities might be a little more vague than they have been in the past. 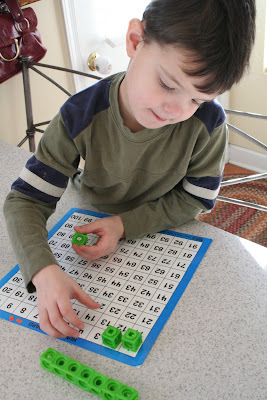 We did do lots of other things and tried to tie them into our alphabet activities. We pulled out our math manipulatives box this week and everyone was having great fun with everything inside. One of the little bins has dominoes, so Zachary and I worked on making a dominoes line-up that would look like the letter "N". Pushing them over to make them cascade everywhere was too much of a temptation so it took a little time to get it all just so, but we finally did (and they all were quickly scooped up before I could get the last picture. 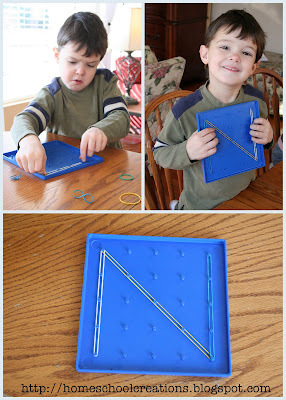 Our math manipulatives box also has some boards that we can stretch rubber bands on to make shapes or really anything else (and the name of these is escaping me right now...). 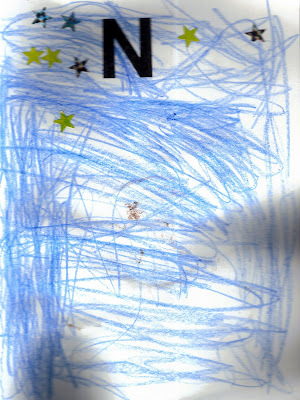 Zachary decided to make an "N" with his and then worked on different shapes and letters. And while we had our manipulatives out, we also pulled out our numbers to 100 chart and had a little fun counting by 10's and also from 1-30. We did have a letter sheet collage for this week too. Here's the document if you would like to use it. Matthew 6:24- "No man can serve two masters." We're still using the book My ABC Bible Verses by Susan Hunt. I also dug out our cd called "Sing the Word from A-Z" and the same verse was on the cd, so the kids have been walking around the house singing the verse for me. We practiced our letter writing this week using Peterson Directed handwriting. Since this has been working well for us and Zachary likes the curriculum too. Here's a post with a little more info for you. I had every intention of practicing nursery rhymes and such with him this week...and it just didn't happen. Next week is already in the works and I am hoping to also get a few back posts up for some of the missing letters - just need to find the time this week! The Preschool Corner is a place for us to share the ideas we are using during our "preschool time" with our kiddos. You can join in the fun and record what you are doing in your house. Please link your exact post to the Mr. Linky below (if you have questions feel free to ask). Be sure to link back to this post so that your blog readers can find some other great ideas too! What do you mean you don't have any good ideas? These are great! 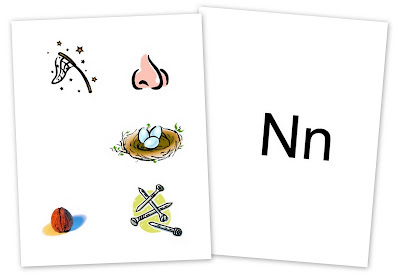 N is a hard letter, isn't it? Just stopped by to see what you did. 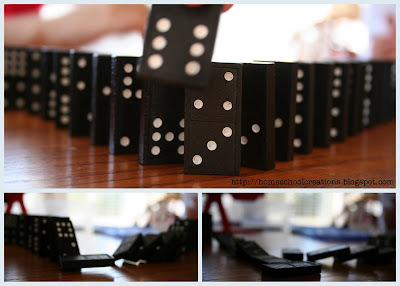 :-) I like the N Zachary made with rubber bands - I think we'll try something similar. Thanks!